Prank the ones you love. Covering a co-worker’s cubicle with Post-Its might have been funny in 2010, but this year it’ll barely raise an eyebrow. 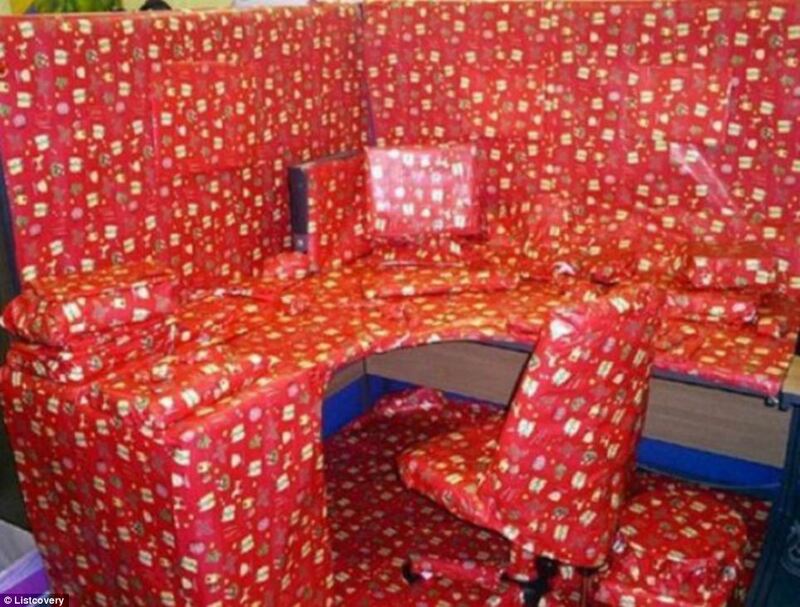 Office desks have been gift-wrapped, bubble-wrapped, aluminum foil-wrapped and even completely enrobed in Justin Bieber paraphernalia. Your kid will only blink at you when you freeze his milk and cereal overnight, or serve him an ice cream sundae of mashed potatoes. The Internet has moved on from these pranks. Why haven’t you? 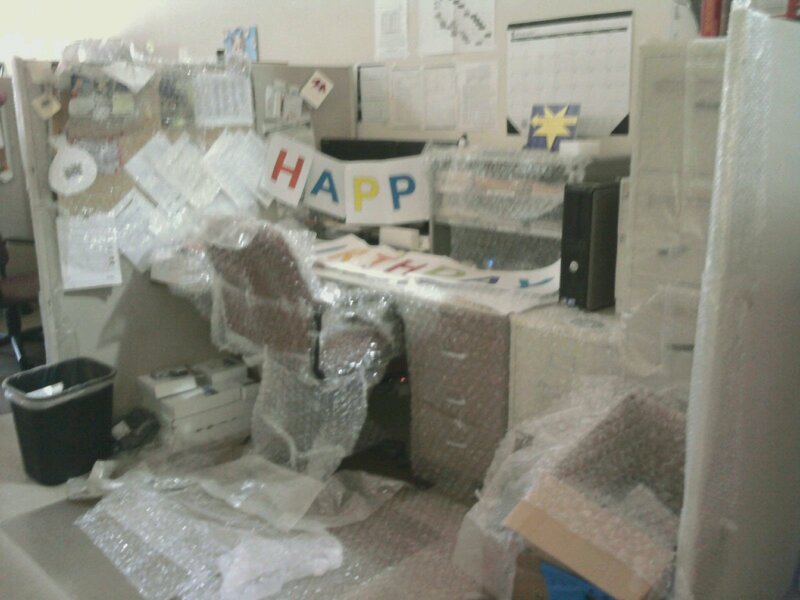 Here are some of the best April Fools’ Day pranks inspired by the Internet. We all know what the eggplant emoji really means. So why not abandon all attempts at subtlety and just send someone an actual eggplant with a hand-written message on it? You can order one on Eggplantmail.com, or just head to the grocery store for a DIY version. Paint the bathroom soap with clear nail polish. The soap won’t lather up. Your poor kids/roommate/parents won’t know what hit ’em. Finally, another way to re-purpose all those disgusting Peeps leftover from last Sunday. Inject them with hot sauce, ketchup, or the vile filling of your choice. YouTube user Furious Pete details how you can make these Peeps and other Easter food pranks in this video. You can use an app such as AgingBooth to dial up your age a couple of decades. This can be a great trick to play on someone if you haven’t seen them in some time, such as your parents or relatives. Pinterest is filled with examples of how you can use food to make convincing replicas of other types of food. Why not make a cake out of meatloaf? Or a grilled cheese sandwich that is actually cake and frosting? The people who trust you with what goes in their bellies will definitely find you hilarious. This recipe from Hoosier Homemade will make a convincing plate of chicken nuggets and french fries out of dessert food. You’ll only need pound cake, white frosting, food coloring, cereal, and cookies. The Politicians to Poop browser extension for Google Chrome alters the day’s most hard-hitting political headlines to focus on smiling piles of excrement. This is especially an effective prank if your victim likes to consume a lot of political news and/or works in Congress. Fill your office water cooler with fruit juice, soda, or (if you have a particularly awesome work environment) wine. Decorate the cooler to match. From dicks in a bag to live insects, you can order any number of unpleasant and/or funny things on the Internet to ship to people as a prank. Thank goodness for Amazon Prime. Nothing is funnier than getting a fake citation for a parking violation. You can download these convincing parking ticket templates for free on Pretty Prudent. Borrow someone’s phone and then stealthily install a wallpaper that will make it look their screen is cracked. They will honestly love you for this. Get the full instructions on Instructables. If you’re lazy, you can also buy a cracked iPhone screen sticker. That’s right. Grab a buddy and pull a Jessica Lowndes. April Fools’ Day is an excellent time for fake marriage and relationship announcements on Facebook, Instagram, and practically any other social network.